Pictured: LL COOL J (Special Agent Sam Hanna) and Chris O'Donnell (Special Agent G. Callen). 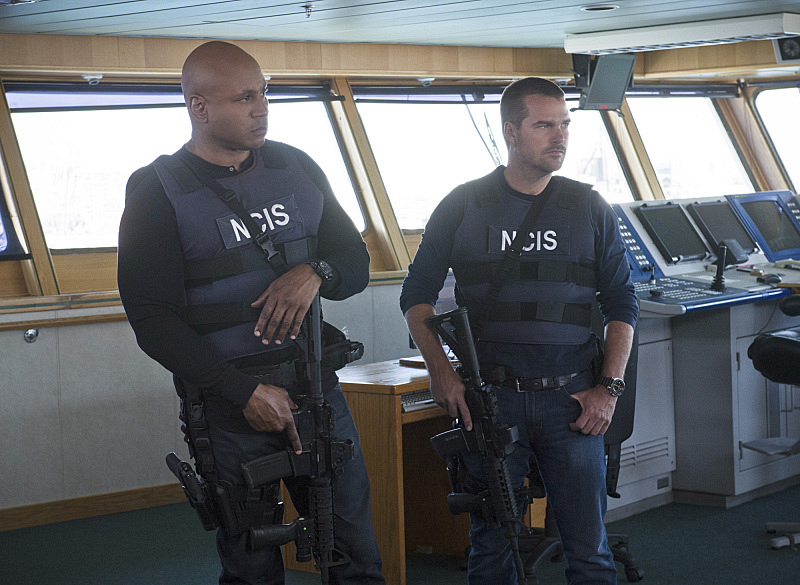 Callen and Sam search for answers when they find dead crew members from the missing oil tanker used in Arkady's deal with Russia, and also discover Arkady's personal connection to the ship, on NCIS: LOS ANGELES, Monday, May 11 (10:00-11:00 PM, ET/PT) on the CBS Television Network. Photo: Neil Jacobs/CBS ©2015 CBS Broadcasting, Inc. All Rights Reserved.